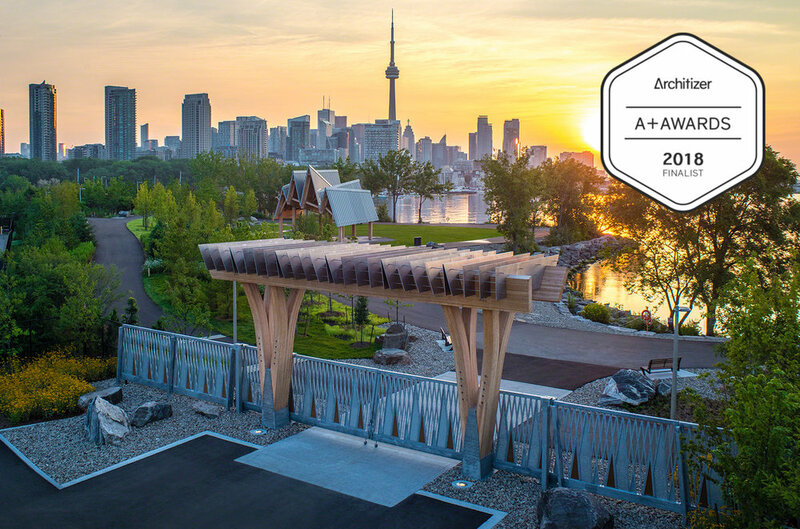 Colombian Design and Architecture Magazine Habitar Publishes Trillium Park & William G. Davis Trail. LANDinc is working with the City of Hamilton on a Skateboard Park Study. The goal of the study is to create a standard process for selecting new skateboard facility locations across the City. LANDinc is proud to have Canadian roots and to this day hold our head office in Toronto, Canada's largest city. This is why we are honoured to be profiled in one of Canada's leading business publications, The Canadian Business Journal. See how our practice of integrating the design process with knowledge from multiple disciplines on project opportunities and constraints has led to successful bids and built work both locally and abroad. Ontario Place plans are revealed, with new urban park and waterfront trail leading the way. Expected to break ground in the coming months, LANDinc and West 8's Ontario Place urban park and waterfront trail will be the first revitalization milestone for the the once immensely popular Toronto landmark. Principal Patrick Morello spoke to CTV at Thursday's announcement where Tourism Minister Michael Coteau shared the first master plan vision. A cultural innovation hub, celebration commons and canal district along side the urban park and waterfront trail are to be defining features on the future site. LANDinc principal Patrick Morello presents how skateparks can fill a community engagement void in Parks & Recreation Magazine. The negative stigma associated with skateboard parks is part of an era past, and Principal Patrick Morello explains how communities are reaping permanent social and economic rewards through engaging their youthful demographic with quality skate-parks. Sharing his expertise on the critical steps from fundraising to breaking ground, Patrick emphasizes how community involvement is beneficial, every step of the way. CBC Ottawa Morning interviews principal Walter Kehm on the design potential associated with Canada's Parliament Hill. On the evening of January 22nd 2014, the second of three public feedback meetings for the Ontario Place Urban Park and Waterfront Trail took place. This meeting was particularly exciting as firm principles Patrick Morello and Walter Kehm not only presented the initial design concept but we also received valuable feedback from the public on issues of identity, connectivity and program. A big thank you everyone for their contributions to the ongoing discussion. December 4th was an exciting night for LANDinc as we were both presenting the first Ontario Place Revitalization Design meeting to the public as well as accepting the 2013 Ontario Concrete award for our work on Port Colborne's Algoport skatepark. Watch a short video on the award above. We could not be more pleased to be awarded with WEST 8 the first phase of Toronto's Ontario Place Revitalization Project. Within the next two years, and in time for the 2015 Pan Am/ Parapan Am Games, the existing eastern employee parking lot will be transformed into a feature Toronto park for all of the province to enjoy. Guelph University Magazine, Portico, explores how LANDinc's design and planning approach of integrating a myriad of social and environmental factors has led to the successful project bid for the 3,000 hectare Zenata city master plan in Morocco.